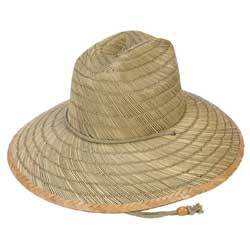 Ideal for full sun protection while gardening or working outdoors. Shades your face and head area. One size fits all. Weight adjusted for packing box & materials. Please note: You will receive (1) hat with either a black or tan drawstring. Full sun protection for outdoor work.